Here is the second trailer for the upcoming film MANGLEHORN. The movie is directed by David Gordon Green, starring Al Pacino, Chris Messina, Holly Hunter and Harmony Korine. The film will be released June 19th in theaters and on VOD. Reclusive small town locksmith A.J. Manglehorn (Al Pacino) has never recovered from losing the love of his life, Clara. Fixated on her memory, he feels closer to his beloved cat than the people around him. Still, he forges on with his tenuous human connections, maintaining intermittent contact with his son (Chris Messina) and taking misplaced pride in a former protégé gone astray, and establishing a cautious friendship with a kind woman from the local bank. As this solitary man approaches the possibility of new love, he finds himself at a crossroads between staying mired in the past and embracing the present. Instilled with director David Gordon Green’s unique brand of eccentricity and anchored by a remarkably rich, understated performance from Pacino, Manglehorn is a movingly humanistic portrait of a man rendered with unsentimental simplicity and idiosyncratic humor. Here is the trailer from Sony Pictures Classics’ upcoming film CELESTE AND JESSE FOREVER. The movie is directed by Lee Toland Krieger, starring Rashida Jones, Andy Samberg, Chris Messina, Ari Graynor, Will McCormack, Emma Roberts and Elijah Wood. CELESTE AND JESSE FOREVER opens in theaters August 3rd, 2012! Here is the trailer from Fox Searchlight’s upcoming film RUBY SPARKS. The movie is directed by Jonathan Daytonand Valerie Faris, starring Paul Dano, Zoe Kazan, Antonio Banderas, Annette Bening, Steve Coogan, Elliott Gould, Chris Messina, Deborah Ann Woll . RUBY SPARKS opens in theaters June 15, 2012. Tribeca Film today announced that it will release THE GIANT MECHANICAL MAN, DEATH OF A SUPERHERO, and SLEEPLESS NIGHT nationwide via video-on-demand during the Tribeca Film Festival, which runs April 18-29. The films are each an official selection of the Festival and feature notable actors such as Jenna Fischer, Topher Grace, Malin Akerman, Tomer Sisley, Andy Serkis and Thomas Brodie-Sangster. 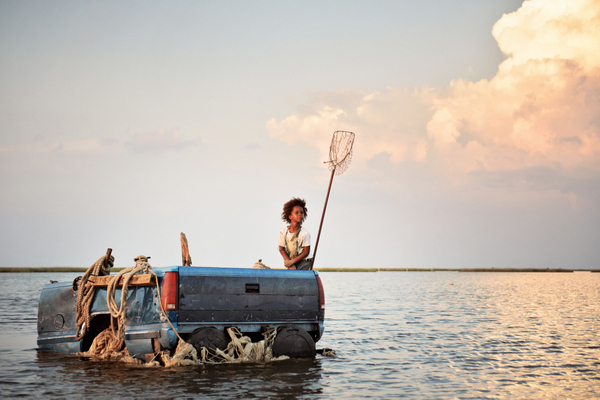 Tribeca Film also announced it has acquired North American rights to BOOKER’S PLACE: A MISSISSIPPI STORY, rounding out its selection of titles to be released during the Festival. BOOKER’S PLACE is a riveting documentary offering a wholly original perspective on the Civil Rights struggle through its subject, Booker Wright. The film is directed by Raymond De Felitta and produced by eyepatch productions, the independent in-house production company of Ogilvy & Mather, New York. The deal was negotiated by Nick Savva, Director of Acquisitions for Tribeca Film, and Steven Beer of Greenberg Traurig, LLP, on behalf of filmmakers De Felitta and producing partner David Zellerford, who teamed up with co-Producer Yvette Johnson, Booker Wright’s granddaughter. From April 17 through June 19, THE GIANT MECHANICAL MAN, DEATH OF A SUPERHERO and SLEEPLESS NIGHT will be available in more than 40 million homes via cable, telco and satellite systems. BOOKER’S PLACE will begin its VOD run on April 26. Additionally, these films will be available online via digital VOD services such as iTunes, Amazon Watch Instantly, Vudu and Samsung Media Hub, a new distribution partner of Tribeca Film. Tribeca Film will also begin to roll out these films theatrically, starting with BOOKER’S PLACE on April 25 and THE GIANT MECHANICAL MAN on April 27. •BOOKER’S PLACE: A MISSISSIPPI STORY, directed by Raymond De Felitta. (USA) – World Premiere in TFF’s Spotlight section. In 1965, filmmaker Frank De Felitta made a documentary for NBC News about the changing times in Mississippi that featured Booker Wright – an African-American waiter who worked in a “whites only” restaurant. Booker went on national television and exploded the myth of who he was and his position serving the white community. 46 years later, Frank’s son, director Raymond De Felitta (CITY ISLAND, TWO FAMILY HOUSE), documents a journey into the past and current-day Mississippi with Booker’s granddaughter, in search of who Booker Wright was, the intricacies surrounding his courageous life and untimely murder, and the role Frank De Felitta’s documentary may have played in it. BOOKER’S PLACE will begin a theatrical release on April 25 in L.A. and April 27 in New York. •DEATH OF A SUPERHERO, directed by Ian Fitzgibbon, written by Anthony McCarten. (Ireland, Germany) – U.S. premiere in TFF’s Viewpoints section. Donald is a teenager with extraordinary talents, wild daydreams, and a bright future as an artist of fantastical graphic novels. But when Donald discovers that a very real enemy is trying to kill him, an unorthodox psychologist tries to help him find the light in an otherwise dark world. Thomas Brodie-Sangster, Andy Serkis and Aisling Loftus star in this exceptionally honest drama about discovering life, love, and death. DEATH OF A SUPERHERO will have a limited theatrical release beginning May 4. •THE GIANT MECHANICAL MAN, directed and written by Lee Kirk. (USA) – World Premiere in TFF’s Spotlight section. Thirty-somethings Janice (Jenna Fischer) and Tim (Chris Messina) haven’t quite learned how to navigate adulthood. Tim is a street performer whose unique talents as a “living statue” don’t exactly pay the bills. Janice is out of work and under pressure by her sister (Malin Akerman) to date an egotistical self-help guru (Topher Grace). 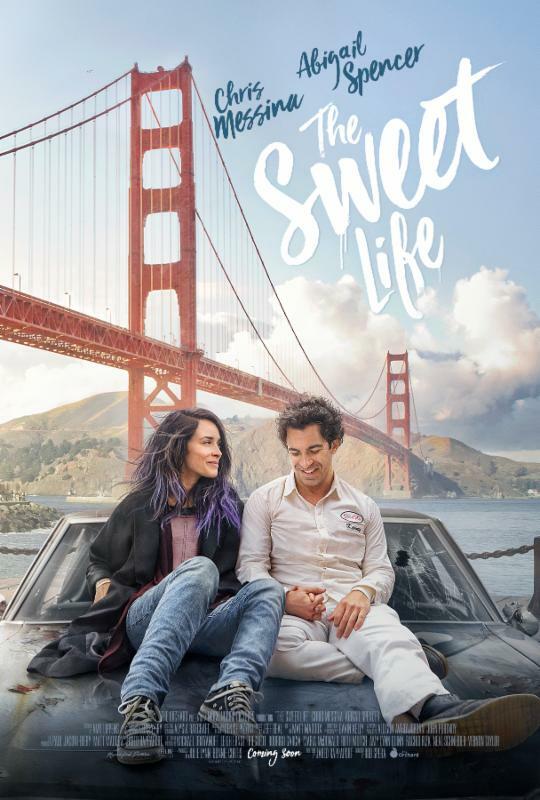 In this charming comedic romance, these two strangers help each other to realize that it only takes one person to make you feel important. THE GIANT MECHANICAL MAN will have a limited theatrical release starting April 27 in New York. •SLEEPLESS NIGHT (Nuit Blanche), directed by Frederic Jardin, written by Frederic Jardin and Nicolas Saada. (France, Belgium, Luxembourg) – New York Premiere in TFF’s Cinemania section. Vincent is a dedicated police officer, or so it seems. After he steals a massive bag of cocaine, his young son winds up being held for ransom by the mob boss it belongs to. When Vincent travels to the outskirts of Paris to trade the drugs for his son, he gets caught in an intense cat-and-mouse game that quickly spirals out of control. This night might not only be the longest of his life—it could be the last. SLEEPLESS NIGHT will have a limited theatrical release beginning May 11 in New York.